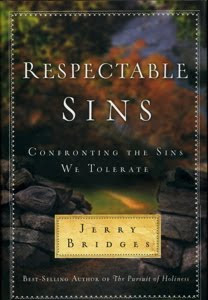 Jerry Bridges wrote one of the best books I've ever read on Christian sanctification in Pursuit of Holiness. But if Pursuit of Holiness is Sanctification 101, then Respectable Sins is Sanctification 301. 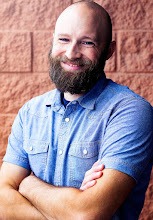 While the former book focused on the broader subject of sanctification and dealt with the more common besetting sins, the latter focuses on the more subtle sins that often go unaddressed. Before dealing with specific areas of sin, the opening chapters of Respectable Sins set the necessary foundation by addressing sin in general and the power of the Holy Spirit to overcome it. In this way, the first few chapters read like a concise summary of Pursuit of Holiness. The remainder of the book addresses issues like anxiety, unthankfulness, selfishness, and judgmentalism. Each of these chapters follows a similar formula, defining and exposing the sin before giving the reader practical steps of action against it. The reader must be careful to read this book without any legalism/judgmentalism. Most readers will either be tempted as they read to think "This guy is nuts and completely overboard" or "Ooooh, I can think of some people that need to read this". I confess both thoughts while I read. As my pastor has said, each Christian has areas they struggle with where they need to be legalistic with themselves (meaning there are certain things an individual Christian cannot let themselves do that others may do). So there are points when Bridges shares his own personal areas of legalism, but we must understand it in a context of wisdom for him. This book is not for everyone. A non-Christian may read it and think Christians are all hyper-paranoid moralists. A legalist may read it and project all their judgments on the Christians around them. But for the Christian using this book with sensitivity and wisdom, this is a wonderful book on many of Christianity's blind spots when it comes to pursuing Christ-likeness.